Anime dress up game. 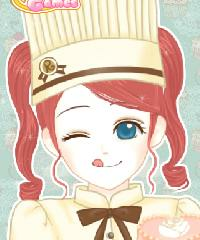 Check out this manga pastry chef and dress her up, you can choose between different aprons and chef hats. Select a delicious cake at the end for the pastry chef in this fun Shoujo manga avatar creator patissier game.